It’s not every day that you get to hear something good and positive from North East India – an underdeveloped region where dozens of armed insurgent groups are fighting the government, demanding separate states. Today, however, is an exception because, I just learned of something that is worth a thousand smiles: the government of Tripura, the smallest state in the region, has decided to encourage cultivation of medicinal plants and rare herbs among locals. “If successfully implemented, the new plan would boost the economy of the state,” says a press statement by Tripura Forest Development and Plantation Corporation (TFDPC). According to the statement, TFDPC would begin by giving financial and technical support to the locals for cultivating Kalmegh (Andrigraphis Paniculata) and Shatamuli (Asparagus Recemosus Wild). 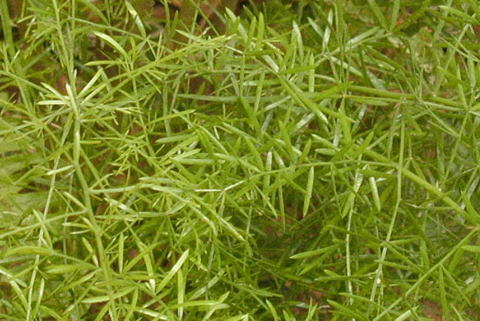 Shatamuli or Asparagus Recemosus Wild, a herb used to revitalize female reproductive organs, cure gastrointestinal disorders and as an external wash for wounds. India has, of late, seen great growth in its herbal industry. According to the Associated Chamber of Commerce and Industry, the herbal industry is currently worth INR 7,500,crore (approx $2 billion) and set to reach Rs.15,000 crore (approx $4 billion) by 2015. The growth has increased the demand of herbs and medicinal plants manifold. For example, a kg of Shatamuli seeds now fetches about INR 4,000 in the market. It’s no wonder then, that Tripura - where the economy is currently in the doldrums - would notice this growing demand of herbs. Severely cash-strapped, the state recently halted all its development schemes and is now waiting for a bailout package of INR 14,600 crore (approx $4 billion) from the central government in New Delhi. The state, however, has at least 200 species of medicinal plants and herbs and also great traditional knowledge of their use among locals. I grew up in this state and have been using the herbs since I was a child. Once, when I had mumps, my mother applied a coat of wax from an Amaltas pod. It cured me in 2 days. On another occasion, I had severe dysentery, and recovered by drinking juice extracted of Land Lotus leaves. But, we never knew that the same plants could also fetch us money. Our village in Tripura’s Kailashahar district is a symbol of what the rest of the region is like: beautiful, but impoverished. Our rice fields are rain-fed and produce only one crop a year. Marginal farmers, we need more resources to survive and having no other options, many of us have resorted to making hooch and smuggling cattle across Bangladesh border - barely 4 km away. Migration is rampant and in past one decade alone, several families – including mine – have left the village for a better life. With their departure, the village gardens, unattended, have become patches of weeds. For past 5 years, I have been visiting my village, trying to re-grow the herbs in our garden: Brahmi (Centella Asiatica), Sawtooth, Kalmegh, Shatamuli, Basak (Justicia Adhatoda) and many more. 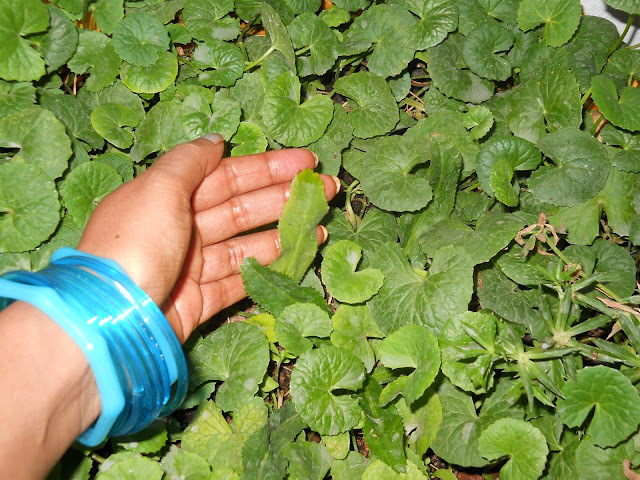 Recently, I have also started a blog called whisperinggreens.blogspot.com where I share our traditional knowledge of the herbs and medicinal plants and encourage the readers to use and conserve them. The plan of TFDPC to promote herbs cultivation has, therefore, great significance for me and my community. It means, we can get loans to grow the herbs, the medicinal plants and sell them directly to the government at market price. But above all else, our villagers can finally quit making hooch or smuggling cattle and earn a living in a healthier way: growing the healing greens. Excellent article ! very informative. After reading this I feel that i would like to donate/contribute money if that helps a farmer in growing herbal medicines since many a times raising funds through banks/goverrment agencies could be challenging and time consuming as well! very true stella. We have good prospect in the field of medicinal plants and we have deep knowledge & traditional usage too.Even a village layman understands and use medicinal herbs,no matter he is educated or not. We can overcome our debts though in small amounts & long period.I am proud of Tripura state and every state should follow this. @ Vilas: What an excellent idea! You remind of Dr Fida Khan - a leading scientist from Bangladesh whom I met in Kathamndu recently. Though Dr Khan is a hydrologist, he recently invested in a tree planting project started by a few friends. He never expected to make a profit out of it. But, to his surprise, the project was a success and beside providing a green cover to a cluster of villages, it earned good profit to the investors. I am sure, you too can script a success story. And what can be more satisfying than investing in a green economy? Best wishes! Yes, you are so right. We have a mine of traditional knowledge (which, if you think logically, is a great amount of capital already) and we have a favorable climate+soil. It is therefore quite wise to capitalize on this too and generate income and employment on them. Thanks! Stella, Its really a wonderful article. As a person from Kerala, these are very familiar herbs to me and these are having high position in our ayurveda treatments too. Nice attempt friend. all the best. Thanks for sharing this article. Yes, indeed! Kerala has always been a pioneer in Ayurveda and promotion of herbs and medicinal plantation. Tripura has followed Kerala in many fields: political ideology, rubber plantation, culture, gaining high literacy rate. Now, it is also following in building a green economy. I am sure it will follow the leader (Kerala) well. Thank you very much! I grew up in Uttarakhand - a Himalayan state where there are many herbs. But most of it is now controlled by big companies. We run an NGO that promotes sustainable development. I am feeling inspired after reading this blog because to involve ordinary citizens is an excellent idea. It will break control of big companies over resources and help locals become entrepreneurs. @Geetika: Thank you Geetika for your valuable opinion. I am very happy that you found the blog useful. I think an economy of ours must be inclusive of the people living in villages. In fact we cannot call an economy green until it's impact isn't directly felt at the grassroot level. I have never been to Tripura. I wish I'd visit the place someday and learn to appreciate the land and its people. I hope you get to visit the place. Its small, has its own problems, but is quite interesting with several communities and cultures. Thanks for reading through and commenting!